1. The wrong focus: African weddings from the onset have the wrong focus. Nobody thinks about the marriage, what everyone has in mind is the festivities of the wedding day. As soon as the couple announce their intentions to get married; the date of the wedding, the venue, the guest list, the event planners, the decorations, food menu, MC, DJ, asoebi are higher on the priority list than the amount of money on the couple’s account to start a family, where the couple wound reside, the input of the parents and family on the wedding. The focus is always primarily on the wedding not the marriage. 2. Too expensive: African weddings and their expensive nature is simply ridiculous. An average Western wedding consists of maybe 20 or 30 close friends and family members in a small hall where light food is eaten. An average African wedding on the other hand is like a Nollywood movie with Part 1, 2 and even 3. The proceedings start from the introduction which involves over 30 family members and a few friends. Money is spent on entertaining the guests. Then the traditional wedding is planned, over 100 family members and friends are invited to the wedding that takes place at the bride’s hometown. Money is spent on transportation to the venue of the wedding, acquiring the wedding attires and on entertaining the guests. Then finally, the white wedding (a wedding initiated by the Western World and Africans are killing themselves untop). The white wedding involves in most cases over 200 guests and gulps a monumental percentage of the wedding allocation. Why all the expenses? Why can’t African’s have just one wedding? Question for the gods. 3. It’s a parent’s thing: There is a popular saying in a Africa that “when a couple gets married, the family gets married with them”. In Western culture, a couple’s family have little or no input on the wedding. In Africa, over 50 percent of the wedding plans are constituted by the parents. As a matter of fact, guests invited by the parents sometimes outnumber guests invited by the couple. Na your wedding? Shou! 4. Wasted food: Its no secret that item 7 is the reason many people attend weddings. Food is good but wasted food isn’t. I remember attending a friend’s wedding and the amount of food that was wasted could feed a village. People are offered plates packed with the usual rice, salad, moi moi and meat. Most people pick at the food like a bomb was hidden in it. After eating one or two spoons, descend on the meat/chicken leaving the almost full plate of rice to waste. My wedding will be buffet styled serve-yourself kinda wedding. Take only what you can finish. Waste food and forfeit your wedding souvenir. No joke. My God hates waste. 5. Unfamiliar faces: One of the beauties of celebrity wedding is the much envied “Invitation List”. Celebrities are of the opinion (right opinion in my books) that if list of guests are not confined to a specific number, the wedding will turn into a free for all affair. Most weddings are the wear-fine-dress-enter-and-eat kinda weddings. As long as you are dressed for the occasion, you can enter a wedding without even knowing who is getting married, take pictures, eat free food, take souvenir and leave without anyone questioning you. 6. 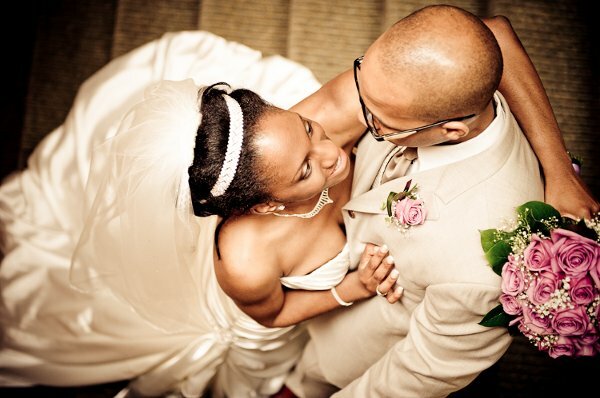 For show : African weddings are a show of popularity, wealth and affluence. The big men and women want to sit on the high table, the rich folks wait till the couple are dancing to show their wealth by either spraying fresh mints of large bills or spraying foreign currency, big men come with their most expensive rides, ladies dress to impress and oppress, celebrities and politicians are invited to show the mettle of the couple. What a sham! 7. Puts couples under unnecessary pressure to perform/impress: The financial and emotional weight that couples go through during weddings can only be fully understood by the married. Your friends/family/neighbors/work colleagues/ex-classmates/enemies/beefers/critics/bad belle people/supporters/strangers, everyone is packed under one roof, some to see you shine, others to see you crumble, most just to come to eat and go. That’s pressure at its peak. 8. Asoebi wahala problem: Due to the expensive nature of weddings, cost recovery avenues have taken a new dimension. The costume (asoebi) of the wedding has become even more expensive. Asoebi has graduated from being offered for free to some going for as high as N20,000. So I have to pay to attend your wedding, coupled with my transport fare? Happy Married Life, I’ll rather stay home and watch Premier League football. 9. Disregard for time: The best organized wedding I ever attended was in fact the most cost effective wedding I ever attended. Church proceedings took place from 10 am till 11:30 am, snapping of pictures and procession to the venue of the reception which was at the back of the church was from 11:30 am to 12 pm. Exactly 12 pm, the MC took the Mic and the reception had commenced. After a few cutting of the cake and couple dance activities, food was shared in packs and around 2 pm, the wedding was over. A wonderfully organized wedding took under 4 hours to execute and everyone had the rest of the day to handle their biz. Sad to say but most African weddings don’t take this route. In fact, attending a wedding in Africa means you have dedicated the whole day for the couple. The last wedding I attended commenced 10 am and by 5 pm that I was leaving, the couple were just doing their traditional dance. What a waste of time. 10. Church weddings: I wonder if they have used church to swear for Africans. What’s our obsession with having our weddings in the confines of a church. We have this unfounded mindset that having a wedding in church means God is involved. The same Christians read Matthew 18:20 “For where two or three have gathered together in My name, I am there in their midst” in church often. What happened to a quiet garden, or a hall, or even at home. Must the vows be exchanged in church? Africans!!! !